President Donald Trump is meeting this week with Stanford University economist John Taylor, who is on the shortlist of people under consideration to be the next chairman of the Federal Reserve, reports Bloomberg. 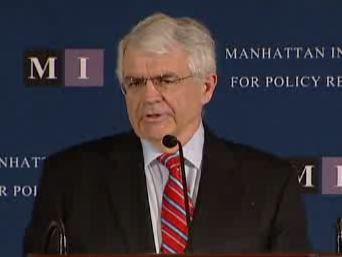 Taylor is well-known for his rules-based formula for central bank interest rate setting, known as the Taylor Rule. He should be considered a conservative Keynesian (i.e. moderate money printers) with strong beliefs in the disproven Phillips Curve. An economist from Stanford who knows Taylor tells me, "John is so boring he would put Alan Greenspan to sleep. I can't imagine him having a conversation with Trump."